Fall – my personal favorite season of the entire year! I can bring out all my experimental outfits in this season and I can look my stylish best! Unlike summer work fashion outfits, the fall fashion doesn’t limit you from layering and your collection of classy coats and jackets! When you think of “fall” you tend to remember those magical autumnal months when there is a hint of the cold winds in the air, but there are no hard frosts or snow on the ground. The leaves display beautiful colors – a treat for the eyes, and in the center of all that happens during this season, is you – a working woman – someone who has an identity and someone who is an example for people around her. While your values define who you are, what you wear also creates an image of you in the minds of the professional contacts you interact with. 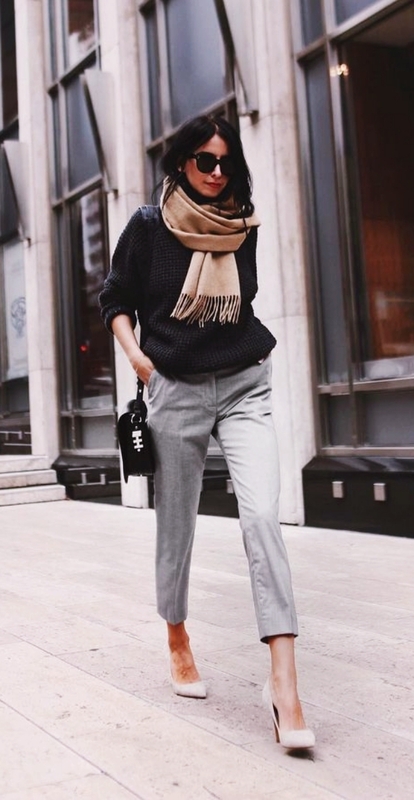 Enhance that image of an elegant lady boss at office with this Casual Fall Work Outfits Ideas To Copy and try out this fall! Work doesn’t have to be boring! On those Fridays, when you already can smell the weekend coffee, pair a nice striped top with your favorite pair of jeans and a matching set of sunglasses. Oh and don’t forget to sling a jacket casually by your shoulders or in your hands to complete this happy workday look! Fall is THE season for wearing the best shrugs you can. Color coordinate it right and you might just end up on the centerfold of a magazine as the modern working fashionista! Remember to carry and wear the right accessories and avoid overdoing it in any department. Some looks are evergreen. So if you don’t own a fitted white shirt and trousers in black or blue, you better go shopping right now. Aviator glasses to create an enigma about your eyes and you are all set to turn heads. Casual fall work outfits ideas to copy will take you to a new level of sophistication appealing most attractive image at work! 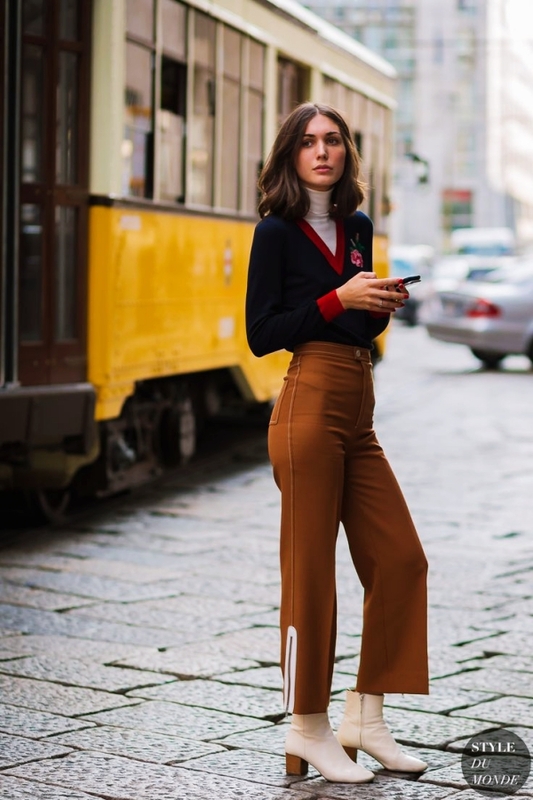 How about you wear a fitted knit top, some palazzo style trousers and carry a small purse on your shoulders for that all important client pitch? I bet that whatever image you have will surely go up several notches. Wear the best work pumps you have so that your feet stay comfortable all the while you present. If you are in a creative line, and interact with people who don’t care about the width of the necktie or the length of the skirt, then a nice part of boots teamed up with black tights, a short mini dress and sweater, could be the perfect casual fall work outfits ideas to copy for you. Another of those happening Friday looks is if instead of wearing full-length jeans, you wear ones that end a little above your ankles. Cram all that you need at work in an outsized handbag. I will keep it simple and straightforward. A fitted blazer, nice top, blue jeans and your most comfortable work shoes, is another classic work look where you will not go wrong. Play around with the accessories till you are happy with how you look. And one of the nicest and casual fall work outfit idea to copy could be a full-length skirt teamed up with a tube top and the nicest jacket in your wardrobe. Wear your top and trousers in a solid color and throw on a cashmere shrug in a contrast. A nice neckpiece will complete this one. If you prefer the knee length skirts, team it with a fitting knit top and remember to wear stockings to protect your legs from any cold winds that might blow in. Maybe you would want to know more about the impressive ways to tie a scarf! 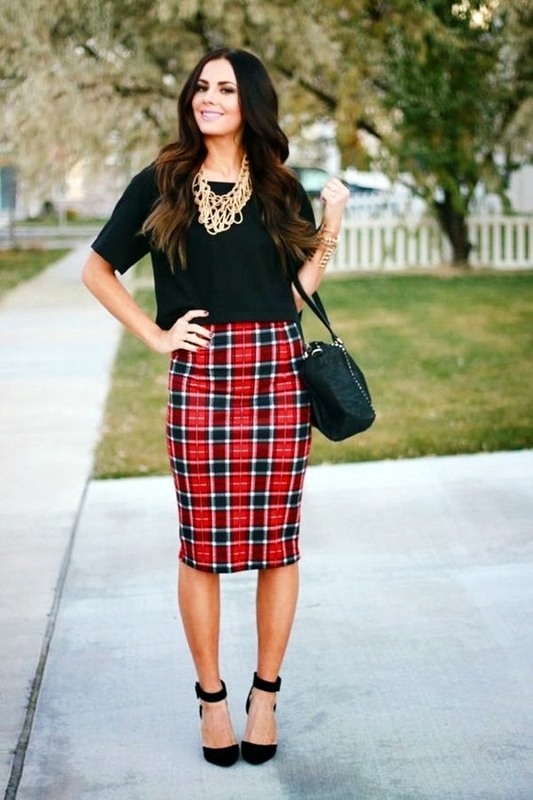 Zoom from zero to hero with these casual fall work outfits ideas to copy! Which one are you trying today? Do not forget to let us know your best outfit too!